The publication will be distributed to affluent homes and businesses in Dallas, Houston and Austin, which boast the highest concentration of visitors to the Southwest. In addition, the magazine will also be on newsstands in area airports and high-end grocers, including those in Phoenix and Tucson. Future plans call for expanded circulation in Phoenix, Tucson and Southern California. 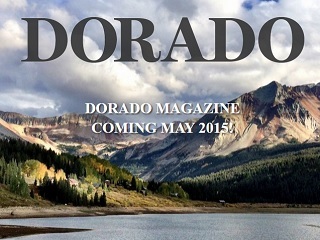 Dorado’s creative is led by editorial director Jeff Ficker and creative director Caroline Crafton. Jeff was managing editor of The Ritz-Carlton Magazine and Desert Living, and is a contributor to Travel + Leisure. Caroline brings 15 years of experience from the pages of Vogue, Vanity Fair, InStyle and People, and art directed inaugural issues of New York Weddings and Vogue Living. The diversified media holdings of Ballantine encompass a number of regional newspapers, including a couple of longstanding Colorado outlets The Durango Herald and Cortez Journal. The publisher of Dorado is Chad Rose.